Unlikely lessons from the Rose family on how to bloom where you're planted. If you’re familiar with the premise of Schitt’s Creek — the Canadian sitcom featuring the riches-to-rags tale of a socialite family — it seems like an unlikely source for lessons in resilience and empathy. When we first meet the Roses — Moira (Catherine O’Hara), Johnny (Eugene Levy), David (Dan Levy), and Alexis (Annie Murphy) — they are entitled and self-absorbed. After losing their mansion and massive wealth, the family has no choice but to relocate to a motel in Schitt’s Creek — a town Johnny purchased for David as a gag birthday present years prior — and do not hide the fact that they’re not pleased about it. But, over the course of five seasons, where the PopTV show truly excels is character development. Yes, this has happened from a narrative perspective: Father-son co-creators and co-writers Eugene and Dan Levy have gifted us with a town full of nuanced, three-dimensional individuals that have been a pleasure to get to know. But equally as important, the characters have also grown as people, into moral, compassionate individuals. Similar to real life, these changes didn’t happen overnight, but took place in gradual, incremental steps (some may call them Microsteps) as the show progressed. Here are some of our favorite takeaways from the show that can help any of us thrive. Much like us at Thrive, the Rose family appreciates quality sleep. In the first season, David is so stressed by the sudden move to Schitt’s Creek that he is unable to sleep, and starts experiencing physical symptoms of sleep deprivation. He initially thinks he is having a heart attack and visits the town’s only doctor — technically, a veterinarian — who tells him that it’s actually anxiety brought on by the stress of major life changes. To his credit, David first tries to create a dark atmosphere for sleeping (which, according to Alexis, made their motel room look like a witch’s house), then attends a yoga class to help with his symptoms — rather than opting for silver bullet cure like popping a sleeping pill. Being direct has never been a challenge for the Rose family, but their feedback did not always come from a place of compassion. As each of the four main characters come to terms with the fact that the world doesn’t revolve around them, they become far more empathetic in the process. In the first season, most of the Rose family’s feedback for each other is delivered via insults, but using their newfound empathy, it shifts in later seasons to compassionate directness. For example, when David wants to purchase the town’s general store to open his own business, his mother, Moira, finally lets him know that his parents had been purchasing the art from his former gallery in New York in order to keep it afloat. This is news that could potentially shatter David’s confidence, but Moira felt was important enough to tell him so he could make the most informed decision possible about potential new business ventures. Moira doesn’t tell him this to hurt him or to try and stop him from achieving his goal — it’s coming from a place of compassion because she wants him to succeed. Despite being completely broke, the Rose family all manages to hold onto their cell phones and data plans after the move to Schitt’s Creek. After such an abrupt change of location and circumstances, it would have been easy for the family to turn to their devices as one of the last vestiges of their old lives and personas. On the contrary, several episodes of the show feature the characters telling each other to put down their phones. It’s never a central plot point — just a subtle reminder to be present and mindfully communicate with the people around you. One episode in Season 5 features two separate conversations about the overuse of devices. In the first, David puts Alexis in charge of minding his store and says to her, “I cannot have you distracted on your phone.” In the next scene, the Rose parents are in the car and Johnny says, “Put the phone down, Moira, whatever it is can wait,” because he wants her to take a break from her work on the town’s musical in order to unplug and recharge — at least for a few hours. Beyond being a family sitcom about the Rose family, Schitt’s Creek also borrows from the television legacies of shows like The Golden Girls, The Office, Parks and Recreation, and The Mary Tyler Moore Show — all of which portray non-traditional families made up of members of different communities, including households, workplaces, and other small towns. As you watch Moira, Johnny, David, and Alexis integrate into life in their reluctantly adopted home, it becomes apparent that there’s a direct correlation between being a part of the Schitt’s Creek community and the family truly thriving. There is plenty of science to back this up, including research out of Harvard that found that being part of a larger group can help us feel happier, and live more purposeful lives. Another study, from the School of Public Health at the University of California, Berkeley, discovered that community development can help promote well-being, regardless of the socioeconomic environment. This has certainly been the case for the Rose family. David and Alexis both opened their own businesses and are in healthy, happy relationships. Johnny is applying his years of corporate experience to making their home/motel into a viable part of the local economy. And Moira — easily the most hesitant of the bunch to accept her new life — is now an elected member of the town council, director of the town musical, and member of the Jazzagals (a community all-female a cappella group). 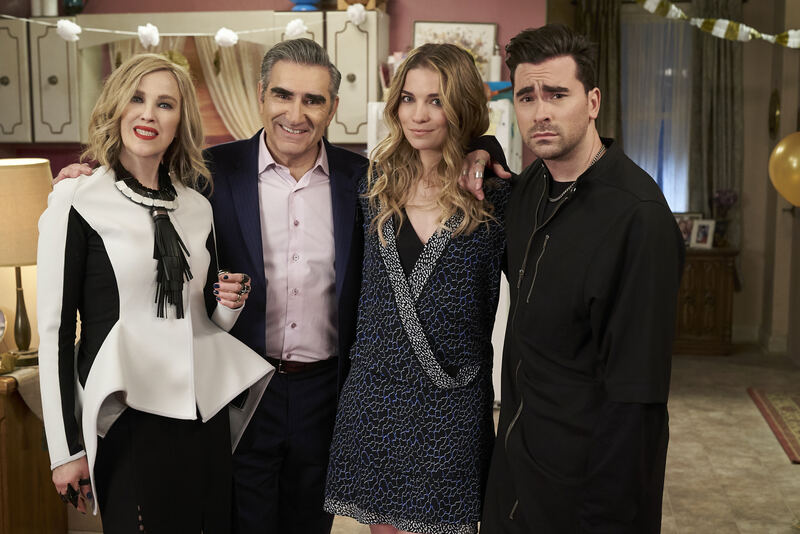 With the sixth and final season of the show ahead of us, we’ll have the chance to see if the Rose family ends up returning to their past lives, or embracing their new home and staying in Schitt’s Creek. But even if they all achieve massive financial success — enough to leave the town — we’ll know that it was possible thanks to what they learned in their adopted community.